Farewell My Childhood Friend Michael Seeron Michael ! "Assyriska - The National Team Without A Country"
Many people were discouraged because of all the bickering and attacks. Many people have to travel long distances twice, once to register and the second time to vote. Many elderly and economically challenged were unable to do so. Many thought that their vote would not make a difference. We know this is wrong because it was the vote of the 18,000 of Chicago, California, and Arizona that secured us a seat in parliament. Some of us simply still were still unaware of the presence of elections because they are not involved, they live isolated, and do not follow up on what goes on. Some of us simply do not care. What can I say about this group? This is the group of people that breaks my heart. My dearest, if we do not care who will? Why are we here as part of the Diaspora? Is it right that we do not show interest in what goes on in Iraq when we still have people living there? Isn't it our moral obligation to do our part and devote one day every four years to make our voice count? Is driving our family one Saturday to a polling station to vote too much for this nation? Now, if we were to go to vote, shouldn't we be familiar with who is running, what they stand for, and then decide whom to vote for? How long have they been struggling for our people. How many members do they really represent? What are their goals and most importantly how are they going to achieve those goals. It is easy to say I will do this and that, the question is how and have I done it in the past? What is the track record of the individuals behind these groups? Earlier, when Saddam was in power, all oppressed Iraqis groups needed to work together to topple the regime. It was important for Assyrians (ChaldoAssyrians), Kurds, Turkomans, Shi'aa Arabs, etc. to work together because they were facing a common and strong enemy. Today, with the fall of the Ba'ath regime and with freedom and democracy, we must turn to ourselves and prove ourselves independently. During the Ba'athist regime, the ADM needed to be in northern Iraq and cooperating with Kurds because they obviously could not operate in Baghdad freely. On the other hand, the Kurds with the No-Fly-Zone needed to show to the world that they are democratic and open to other ethnic and religious groups and our people had the environment to work with relative freedom. Today, there is no excuse to be under any group, all ethnic and religious groups must feel free to be on their own to conduct their affairs. According to the Independent Electoral Commission of Iraq (IECI), the population of Iraq is 27,000,000 and the eligible voters is 14,200,000. This means that the ratio of eligible voters to total Iraqi population is 53% (14,200,000/27,000,000). Any figure around 50% is reasonable, as there is always that under 18 years of age population and those ineligible in every country. According to the CIA country report updated in 2005, 40% of the Iraqi population is between the ages of 0 and 14 years. If there is another 10% between the ages of 14 and 18, then the eligible voters in Iraq is around 50% (40% plus 10%) indeed. This means that it would be impossible for any given province in Iraq to have the number of voters somehow near to the number of total population. Furthermore, a good turnout in any elections around the world is usually considered around 60 to 70 percent of the eligible voters. Considering the security situation in Iraq, 70% is a reasonable turn out, thus 70% of 14,200,000 eligible voters is approximately 10,000,000 voters at the polling stations. There are around 20 coalition slates and 228 lists participating in the elections of December 15, 2005. The candidates will compete over 230 seats from the total 275 seats. The other 45 seats are called "Compensatory Seats," which will be distributed in a very complicated system that might be fair to minorities and women; however, the misconception that all minorities are guaranteed seats from these 45 seats is false. Each minority has the option to compete on its own on a national basis to gain as many seats as possible; however, if it did not cover the National Quota, that group could get a chance to win a seat in the compensatory 45 seats. On the other hand, the Arabs and Kurdish slates will compete within each province separately. There are certain number of seats assigned for each province depending on its population. For example, Baghdad is assigned 59 seats and Nineveh 19 seats. If for example, the 19 seats of Nineveh were not all taken because many lists did not satisfy the governorate quota, then those lists with the largest votes (closest to the governorate quota) will be awarded the remaining seats. The national quota is the number of voters in Iraq nationally divided by the parliament seats available. In this case, and for the Iraqi national elections of December 15, 2005, the national quota is calculated by dividing 10,000,000 by 275, which is equal to roughly 36,400 votes. This means that for every list it has to get a minimum 36,400 votes to win a seat from the 230 seats block. The governorate quota is the number of voters in any given governorate divided by the seats in that governorate. For example, if the voters in Nineveh governorate is 1,000,000 and there are 19 seats to compete over, then each seat will require roughly 52,630 votes (1,000,000 divided by 19). Dr. Farid Ayyar, official spokesman for the Independent Electoral Commission in Iraq (IECI) stated that the system of the 45 Compensatory Seats is too complicated. The 45 seats are reserved for lists that participated in the governorate elections but did not succeed to win a seat there. Here, the number of votes that each list received from the various governorates will be tallied together and if that number exceeded the National Quota, the list will win a seat in the Iraqi National Assembly (parliament). After completing this process for all the competing lists and some seats still remained from the original 45, the remaining seats will be given the name of "National Seats." They will be distributed across all lists that have won a seat or more in the governorates races. The votes received by the larger lists on the national level (and not governorate level) will be divided by the number of the left over seats (National Seats) to get a new "Special National Quota." Here, the number of votes received by the larger lists across Iraq will be divided by this new Special National Quota to figure out the number of seats from the National Seats that are won by these lists. Additionally, if the final figures indicated that the 230 seats did not include at least 25% women, the larger lists will be obligated to include women in their share of the National Seats from the 45 Compensatory Seats. The 12 initial groups of our people that met on October 11, 2005 after the call of the Council of Bishops of Mosul and then met again on October 18, 2005 ended up with five groups plus Mr. Hikmat Hakim. B) Dr. Shimon Khamo: originally with the Bet Nahrain Democratic Party and later Vice President of the External Affairs with the Hizb al-Ahrar wa al-Ta'akhi al-'Araqi (Iraqi Liberals and Fraternity Party). Dr. Khamo and ten others in the party had their disagreements with the president of the party, Mr. Hussein al-Mosawi, resulting in the resignation of 11 members on October 28, 2005. After deliberations with Mr. Mithal al-Aloosi, the 11 individuals joined Mr. Mithal al-Aloosi and list # 620 (Mithal al-Aloosi List for Iraqi Nation). For all practical purposes, list # 620 is not a list by or from our people. C) General Assyrian Congress (800) of Mr. Eshaya Eshoo. Eshaya Eshoo was a member of the Assyrian Universal Alliance (AUA). He later split and formed the AUA-Political Arm. He represents himself and few members of his tribe and relatives. He does not have considerable followers. He has accomplished nothing so far for Assyrians. D) The Chaldean Democratic United Party (610) of Abd al-Ahad Afram Sawa. 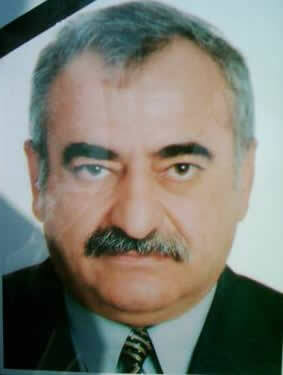 Abd al-Ahad Afram has always been a member of the Kurdistan Democratic Party (KDP). He was part of the Kurdistani List in the last elections of January 30 and he is part of the Kurdistani list (730) in this election as well. E) The Iraqi Christian Democratic Party (580) of Minas al-Yousifi joined Slate (667) of the National Dialogue of Iraqi Front. Minas al-Yousifi, who lived in Sweden stated in an interview on al-Jazeera Arabic International Satellite TV station on July 1, 2003 that there was no difference between Christians and Moslem, or between Kurds, Chaldeans or Assyrians, etc. He has rejected the leadership of the ADM in Iraq and claims that he is an umbrella for all Christians of Iraq. 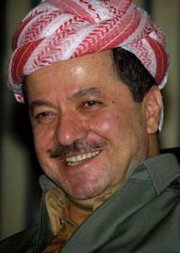 Some claim that he had allegiances to the Iraqi Communist Party and to the Kurds and Barazani in the past. F) Bet Nahrain Democratic Party (BNDP) of Mr. Romeo Nissan Hakkari withdrew, officially announced earlier. G) Assyrian Bet-Nahrain Democratic Party that split from BNDP and was supported by AssyriaSat, has joined the coalition of the National Salvation Front (Jabhat al-Khalas al-Watani), which includes among others two Pan-Arabist and Nasirite parties. H) Christian Brotherhood Democratic Union has withdrawn from the elections. I) al-Rafidayn List # 740 : The Assyrian Democratic Movement (ADM) participated in the first meeting of the 12 Christian groups on October 11, 2005, but decided to run on its own because the other groups were asKing for demands in the united slate that were impossible to accommodate. The ADM believes that these other groups have no support in Iraq; therefore, their demands should be parallel to their strength. List # 740 should not be confused with list # 791, with nearly the same title as al-Rafidayn Independent Gathering, a different Iraqi coalition. List # 740 includes 78 (or 79) candidates from the ADM, ChaldoAssyrian Syriac National Council, various civic societies, and independents. The list is headed by Mr. Younadam Kanna and includes many notables such as Louis Qlemis, Sarmad Ishaq BiDawid, Dr. Ricardos Yousif, and Prof. Hanaa' Emmanuel al-Qas, attorney Majdi Nabil Khadurri. In Nineveh, led by former Minister of Migration and Displacement Pascale Eshao Warda, the group includes Behnam 'Aboosh Abd al-Masih, Duraid Hikmat Tobiya, and Sliwo Masious Sliwo. In Arbil, led by present Minister of Science and Technology, Basima Yousif Potrus, and Nadir Moshe Murad. In Kirkuk, led by former Deputy Governor Sargon Lazar, the team includes Mikha Elias, Mrs. Dolphin Aprim Gorial, and attorney Ashur Yalda Benyamin. In Dohuk, led by Nisan Mirza, the head of the Assyrian Cultural Center, the group includes Riyad Girgis Baddi, and Mrs. Fadiya Karim. In Basra, led by George Ishaq, Chief Editor of Bahra. and other governorates as well. Institute ethnic, administrative, political, and cultural rights. Enforce the unity of our Chaldean Assyrian Suryani people. Work for the modification of any articles that contradicted the interests of our people in the permanent Iraqi constitution. Rebuild destroyed villages and bring back the displaced and the harmed, compensate them for their losses, and grant them their citizenship that was revoked. Enforce and develop the Syriac teaching process and the curriculum to go along with the new Iraq based on scientific research. Maintain the unity of Iraqi people and land. Reinforcement of a federal and democratic Iraq. Promote peace, justice, and fraternity between all Iraqi groups. Institute the Universal Declaration of Human Rights principles and the equality among men and women in various fields by enforce the role of women in society. Protect cultural, historical, and archeological wealth of Iraq. Fight corruption and partiality, and promote and work on equal distribution of Iraq's wealth. Rebuild a strong national army to protect Iraq and its sovereignty. If all groups demand the same things, who is in the best position to succeed? Who is pressing for the issue of unity and empowerment of our people? Who has been involved from day one in the opposition groups to topple Saddam Hussein? Who was actively worKing against the Ba'athist regime from within Iraq and not from the comfort of their homes in the West? Whom did the United States government recognize as a legitimate member of the Iraqi Opposition groups? Who did our people in Iraq vote for the most in the previous elections? One final note, one might ask, what is the future of the four Christians in the Kurdistani list who represented the Kurdish list in the current parliament, including the representatives from the APP (Jacklin Zomaya), BNDP (Goriel Mineso Khamis), Chaldean Cultural Club (Nuri Potros 'Atto), and Chaldean Democratic Union Party (Abd al-Ahad Afram). In the past elections, the Sunni Arabs and many other Iraqis did not vote. This meant a bigger share of seats for everybody else, including the Kurds and Shi'aa. The Kurds gained 75 seats unfairly and only because of the Sunni Arab's boycott and other illegal activities to prevent Assyrians, Shabak, Yezidis, and Turkoman from voting. In this election, however, the Sunni Arab will vote. The Sunni Arab population in Iraq is greater than that of the Kurds. Therefore, the 75 seats won by Kurds in the past elections will shrink to around 40 seats only, if not less, if the process is fair. The Kurds could afford giving four seats out of the 75 to their allies from the APP, BNDP, etc. in the past. In this election, however, they cannot do that because they will get around 40 seats only. 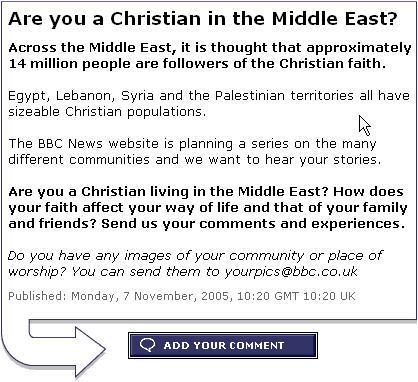 That is why the APP is joining the Christian list, BNDP is withdrawing, Chaldean Cultural Club is basically ignored. Only Abd al-Ahad Afram, the devoted member of the KDP, is guaranteed to win a seat and his name is with the top candidates. Do your moral obligation! We must not allow anything to interfere with our organized efforts to vote successfully. Everything else must be put aside; we must not be distracted in the next five weeks. Our focus must be on the vote of December 15, 2005 in Iraq. Vote for the voice of reason that has proven itself through its accomplishments and not talk alone. Vote for those who are supported by our people on the ground in Iraq because they know better. Vote for List # 740, the list that stands for our unity and not separation and for togetherness and not isolation. (ZNDA: Baghdad) A group of terrorists attacked an Assyrian family in Tikrit on 27 October killing a man, Mr. Younan Gharib and seriously injuring his wife and brother-in-law. Mr. Younan and his family who had been until recently staying in Syria, had decided to return to Baghdad and then move to northern Iraq where he could live among his extended family in a village on the Iraqi-Turkish border. Tens of thousands of Assyrian-Iraqi refugees in Syria await the return of more suitable living conditions for Christians throughout Iraq. The town near the border with Syria was the site of a US and Iraqi offensive this week. Conditions in Syria, on the other hand, remain volatile. The Bush administration has called Syria a "junior varsity" member of the axis of evil and the UN Security Council unanimously adopted a resolution sponsored by the United States, France and Britain on Oct. 31, demanding Syria cooperate fully with the UN probe team, or face possible "further action". German prosecutor Detlev Mehlis presented to the UN a preliminary report on 20 October implicating Syria's involvement in the former Lebanese Prime Minister Rafiq Hariri's killing and urged for full cooperation from the Syrian government. (ZNDA: Washington) Reports compiled by the U.S. military in Iraq from its informants and by non-governmental organisations from independent Iraqi sources provide the first detailed picture of a campaign of ballot fraud by Kurdish authorities in Nineveh province, the key to the outcome of the 15 October constitutional referendum. They show that officials of the Kurdish Democratic Party bused non-resident Kurds to vote in polling stations in various non-Kurdish areas of Nineveh and created a climate of fear and intimidation in the province that reduced the vote against the constitution on the Nineveh plain. They also support Sunni charges of fraudulent vote totals in the province. The constitution was formally adopted on Oct. 25 after the Independent Electoral Commission of Iraq (IECI) certified voting results for Nineveh in which the Sunnis mustered a 55 percent majority vote against the constitution -- short of the two-thirds vote needed in three or more of Iraq's 18 provinces needed to defeat it. The accounts collected by the U.S. military in reports dated Oct. 15-19 were made available to IPS on condition that they would not be quoted directly and that the U.S. military unit forwarding them would not be identified. 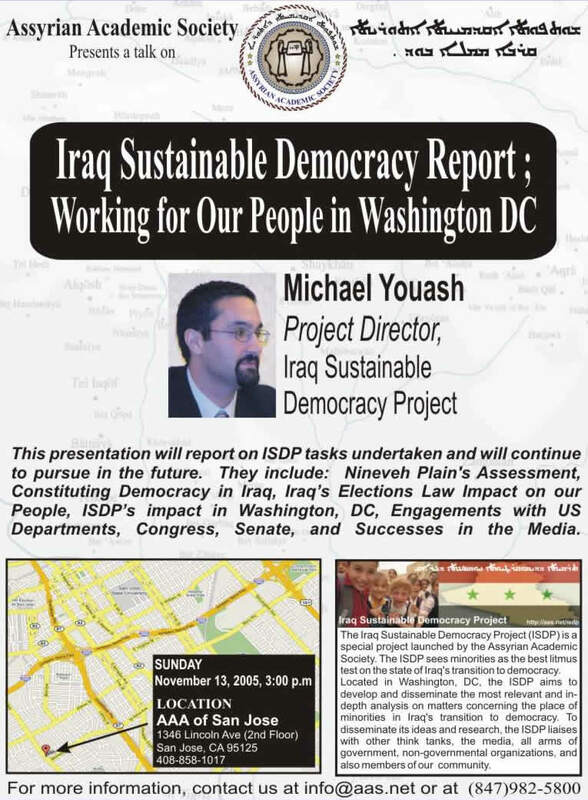 The first-person accounts gathered by non-governmental organisations (NGOs) in Nineveh were obtained and translated by Michael Youash, executive director of the Iraq Sustainable Democracy Project in Washington. The names of the NGOs were not provided in the document given to IPS because of fears of reprisals. None of the accounts reported by the military are from Sunnis. All of the sources quoted in those reports are either Kurds or trusted Assyrian Christians who have been advisors to the U.S. military on local developments and are generally favourable to the constitution. Thus they represent the view from those in the province least likely to have a political motive for depicting the referendum as rigged. 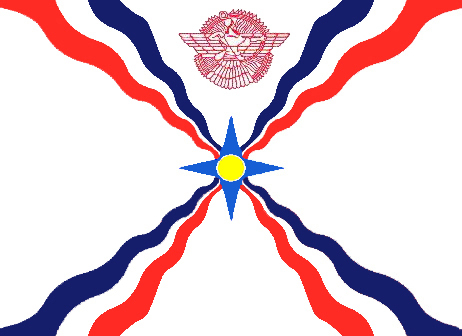 The reports compiled by the U.S. military include an account of the voting in Mosul by an Assyrian Christian source which observes that Kurds voted for the constitution but represent only a small percentage of the estimated 1.7 million people in the capital -- which holds roughly two-thirds the population of the province. That account contradicts both widely reported explanations for the alleged failure of the Sunnis to achieve a two-thirds majority against the constitution in Nineveh -- that the Sunnis in Mosul were divided over the constitution, and that Kurds represent a very large proportion of the population of the city. The final official vote total for Nineveh was 395,000 "no" and 323,000 "yes". However the IECI in Nineveh had told the media on Oct. 16 and again on Oct. 17 that 327,000 people had voted for the constitution and only 90,000 against, with only 25 out of the 300 polling stations in the province remaining to be counted. Thus, between the two counts, 5,000 yes votes had apparently disappeared and 295,000 no votes had mysteriously materialised -- all from only 25 polling places. No explanation has ever been provided by election authorities for those contradictory data. The U.S. military's informant supports the view that Kurdish and Sunni vote totals in Mosul were significantly altered. In the towns north and east of Mosul, the military's reporting suggests the main factor in distorting the vote was the use by Kurdish authorities of "flying voters" and voter intimidation. Two different Iraqi advisers to the U.S. military, including one who is identified as a local political figure and supporter of the U.S. occupation, testified that the Kurdish Democratic Party (KDP) transported 500 non-resident Kurdish voters in a convoy of buses into the town of Bartilla, east of Mosul, to vote. According to one of the accounts, election workers at the polling station were forced by a large group of Kurdish militiamen accompanying them to give the outsiders ballots to vote. Nineveh Deputy Governor Khasro Goran, a ranKing member of the KDP, personally gave the orders that the 500 Kurds were to be allowed to vote, according to the second account to the military. The KDP was said to be planning to transport these 500 voters to other towns on the plain. Although the source said that the local mayor opposed that plan, the non-Kurdish mayors in the area have no military forces at their disposal. Bartilla was not the only instance of "flying voters" reported by eyewitnesses in Nineveh. According to an account from a local resident, collected by non-government organisations in Nineveh, a large number of Kurds were brought into the non-Kurdish town of Alqosh, north of Mosul, in more than 20 buses on the evening of Oct. 14 and the morning of Oct. 15. An adviser to the U.S. military who obtained information on the voting in towns north and east of Mosul reported that the vote in the city of Alqosh was 950 "yes" and 100 "no". Thus the imported Kurdish voters apparently represented the bulk of the votes counted in that town. Those reported results suggest that almost the entire population stayed away from the polls, either out of fear or in protest against the Kurdish vote fraud in the town. The same military source said 1,220 votes were recorded in the town of Telaskof, of which 90 percent were "yes" votes, even though he said the majority of the town did not approve of the constitution. Most eligible voters, according to the informant, boycotted the election. In Telkaif, where 70 percent of the votes were recorded as "yes" votes, according to the military's informant, a local eyewitness in the town told NGOs that the voting center in the town was staffed entirely by KDP personnel, including an employee known to the source as a KDP secret police agent. Elsewhere on the Nineveh plain, the KDP openly displayed its security presence at polling places. In the town of Sheikhan, according to an account obtained by NGOs, the KDP staffed the polling place with personnel wearing "Security Committee for Shaikan District" badges. The predominantly Assyrian Christian town of Qaraqosh, in which Kurds represent only about one percent, was recorded as delivering a vote favouring the constitution by a margin of six to one, according to the military's informant. The informant identified fear of the Kurdish militia in the town as a key factor in the outcome. Kurdish political leaders have made no secret of their intention to attach Qaraqosh and surrounding areas to Kurdistan, despite the small number of Kurds there. As the Washington Post reported last August, the local KDP leader said he hoped Qaraqosh would be ceded to the Kurds after the area "becomes normalised". The same article said Kurdish militia have beaten up anyone who refuses to go along with their plans, and individuals have been arrested and sent to jails in Kurdistan for activities that include "writing against the Kurds on the internet". Both U.S. military informants and testimony gathered by civil society leaders in Nineveh reported that the Kurds had spread the rumour in Nineveh province that voters who did not vote "yes" would lose their food ration cards. Many farmers and their families were said by the independent informant to have voted "yes" on the understanding that would ensure the renewal of their ration cards. The picture of voting irregularities and fear in Nineveh sketched out in these reports from non-Sunni sources collected by the U.S. military and civil society groups support the complaints about electoral fraud by Sunni political figures. And they belie the official portrayal of the referendum as a step toward political legitimacy and democratic development. Gareth Porter is an independent historian and foreign policy analyst. He is the author of "The Third Option in Iraq: A Responsible Exit Strategy" in the Fall issue of Middle East Policy. As the only international observers operating at large in the interior of Iraq and accredited as election monitors to the Independent Electoral Commission for Iraq (IECI)we issue the following comments on the October 15 referendum on Iraq's constitution. Overall, we judge the referendum to have been honest and the result to accurately reflect the views of the Iraqi people. Regardless of this credible effort, there were concerns in some of the districts we monitored. Allegations with regard to intimidation, inadequate numbers of voting centres, and other irregularities were received. Nevertheless, it is our strong impression that the election proceeded in a fair and, in most instances, unimpeded manner. Preparations for the vote in both rural and urban areas appeared to us to be extraordinarily good, with active committees meeting on a daily basis in the days before the vote to make arrangements, liaise with governorate electoral centres, and to iron out security and other logistical issues. Our report addresses most of the allegations received, some of which were substantiated and which include instances of intimidation, denial of access to the vote, inadequate numbers of polling centres, and inaccurate electoral lists. These grievances notwithstanding, we issue this statement to make it clear that none of the above issues, though each is of very great concern, was of sufficient scope or seriousness, to impact substantively upon the final result, either at the governorate or national level. Some elements of the population, particularly from minority groups such as the Christians, were bewildered by the bombardment of media comment about the importance of this referendum in view of the absence of copies of the constitution in written form, which had been promised but which were unavailable in many regions. In major urban centres, like Kirkuk and Baghdad, this was not a problem, and copies of the constitution were eventually available, albeit only two or three days before the referendum. They were never available in adequate numbers (or in adequate time) in many other instances. This problem was aggravated by reports that the constitution was still being amended up to the date of the referendum, and that the population was expected to vote on something they had not seen. Dohuk Governorate - In Akra town, there was only one copy of the constitution available prior to the referendum. Nowhere, within the Dohuk province, was there more than a token number of copies distributed by October 15. Suleimaniyeh Governorate – In Halabjah, 200 copies went to officials but not a single copy went to the people. Ninevah (Mosul) Governorate – In the Nineveh plain, no copies were received by substantial minority groups, such as the Yezidis and the Christians. There were notable allegations, some substantiated, of ballot stuffing or pre-marked ballot papers having been given to poorer people in last January’s elections, in cities such as Baghdad and Arbil. We noted no such practices during this referendum. However, in any general election, increased vigilance in this regard will be warranted, given the increased stakes for individual participants and their political parties. We would also wish to encourage further diligence at polling stations in the ethnically explosive city of Kirkuk. Here, ethnic tensions are at high level. One credible election observer, with whom we are associated, informed us during our visit to the city that sometimes tellers at polling stations might get tired or wish to take comfort breaks at which point observers from the various political parties would “step in” in an effort to be helpful, taKing the place of the tellers. This is not good practice and should be discouraged in the future. The conduct of this referendum by the Independent Electoral Commission for Iraq (IECI) was splendid. This was an efficient exercise, and they are to be commended. Given the prevailing security environment, it is remarkable that they achieved such a good turnout with relatively modest amounts of controversy. However, we did discern a number of criticisms directed at the IECI with regard to follow-up on the January 2005 elections. Complaints filed by observers, political parties, and concerned citizens were not always handled efficiently and, in many instances, no response at all was received. Staffing levels at the IECI should be increased to enable better transparency and feedback. Also, registration for observers was arduous to say the least. Indeed, one of our own election officials found it difficult to enter the Green Zone to register our organisation. Whatever the reasons for this, it would help if a second accreditation unit were set up well outside the Green Zone, perhaps at one of the well-fortified hotels such as the Palestine or Sheraton (the spate of car bombings directed at these two sites on October 24 notwithstanding). We would single out the local IECI offices in Dohuk and Arbil for particular commendation for the diligence and efficiency with which they carried out their tasks, both before and during the October 15 referendum. We were concerned about the degree to which the local IECI office in Mosul (Nineveh Governorate) appeared unable or unwilling to serve the people of the minority groups in Nineveh Governorate. To avoid a recurrence of problems noted in both the January legislative elections and, to a lesser degree, during the October 15 referendum, we would urge consideration of the establishment of a second IECI office to serve towns and villages in the Nineveh plain to operate independently. It is our intention to provide additional monitoring in Southern Iraq during the forthcoming December elections where many allegations remain unanswered from January. A general election is different from a referendum of this nature and is likely to involve increased interference from the various political parties involved. In order to respond adequately to this challenge, the IECI will require additional staffing and support from both concerned Iraqis and the international community. In general, this was more of a problem in rural areas, rather than in the towns. Most towns were well-served, if not over-served, with numbers of polling stations in some instances only two blocks apart. In rural areas, where a fuel shortage added additional logistical problems, the lack of adequate polling station provision was critical to securing maximum voter turnout. The IECI made excuses such as “the polling station availability is determined by the computer programme,” and “it is difficult to deliver adequate security to a larger numbers of polling stations” but such excuses sound as lame as they actually are. In practice, there was gross disparity. Cities like Arbil had so many polling stations as to appear almost over-served, whereas small towns where minority communities were dominant were sometimes grossly under-served. The worst instance of this that we noted was the Yezidi town of Bashiqa in the Nineveh Plane. Here, where upwards of 16 polling stations were required for Bashiqa and its extensive voting district, only five were initially provided. Following complaints from the community and our own interventions, the number of polling stations was increased from five to a total of six, but this number was still grossly inadequate. Sixteen would have been preferable. Bashiqa has 40,000 registered voters, of whom 25,000 (61%) voted. Had a greater number of polling stations been available, undoubtedly the turnout would have been far higher. In view of the considerable pressure exerted on the Mosul IECI to increase the number of polling stations for this Yezidi community which had been denied the vote entirely in the January elections, and in view of the failure of relevant Mosul officials to respond in a forthright manner, we can only conclude that the absence of action was condoned for prejudicial reasons. This might have been because the minority community involved was composed principally of Yezidis who often perceive themselves as comparatively powerless.Or it might have been condoned because this region is strongly supportive of the Kurdish Regional Government and would have voted against Sunni positions popular in Mosul itself. Whatever the reasons, steps must be taken to ensure that this situation is rectified in time for the December 15 general balloting. Unfortunately, Mosul electoral officials have not been good at their word in the past. We were given assurances prior to the referendum that adequate polling stations would be provided. We do not believe that the addition of one polling station was adequate and will be looKing for a significant redress of the situation by December. We would stress that the number of polling stations available has a severe impact. Arbil province, with on average one polling station per 3,000 voters had the highest turnout in Iraq at 96.93% of the electorate. Ninevah province, with its poor polling station availability, had a turnout of a mere 54.84%. Obviously security was a factor but poor polling station availability is a critical issue. Note: for logistical reasons, we were unable to check the towns of Singar and Talkeif, both of which were also denied full participation in the vote in January. We intend to monitor the situation in both towns carefully in December. As a general rule, security was a key consideration on voting day. This was particularly so in cities like Mosul with its “three rings of security” policy. This meant that residents had to undergo an initial check, a metal-detector check, and a final pat-down check. All of this, under normal circumstances, would be excessive. However, given current security constraints, there is little alternative. In other areas of Iraq, security was less diligent but adequate. In general, levels of security were high in towns but almost non-existent in villages. In many rural constituencies, inadequate fuel supplies hampered the ability of people to get around both before and during the referendum. Acra town in Dohuk Province is a case in point. Here an able electoral committee did outstanding work. However, in a country with no postal vote and with an extensive rural constituency, fuel shortages (which are severe in some areas) meant that the elderly and the infirm, who needed to be taken to a polling centre some miles distant to vote, were effectively disenfranchised. In Acra, fuel shortages were so severe that they even impacted on the ability of the police to get about to deliver and retrieve ballot boxes. Indeed it is not only the elderly and infirm that are disenfranchised by the fuel shortages. They also create problems for the poor. We noted when crossing the border from Turkey more than one week prior to the vote, that 3971 trucks were held up at the Turkish border crossing, of which 926 were fuel tankers. Also during two days prior to the election, whilst the border on the Iraqi side was closed, another 4000 trucks were held up at the border, with more than 1000 additional fuel tankers included in this number. There was remarkably little intimidation in this election, given the nature of the present situation in Iraq. There were allegations, which we have been unable to substantiate, that Turkoman voters in Kirkuk were intimidated by some parties to vote ‘No’. There are substantiated allegations of intimidation in Baghdad in an attempt to stop voting altogether. Some of our own election monitors had been intimidated. There was intimidation of Arab spokespersons in Kirkuk in a quasi-successful attempt to stop free speech. One blatant example of this took place in our presence and involved interference with an Arab community leader being interviewed by an Arab journalist. Sadly, levels of hatred and prejudice in Kirkuk (a city with marked ethnic and religious divisions) are extreme, as the direct result of Saddam’s forced displacement of tens of thousands of the area’s inhabitants (the bulk of whom were Kurds) and their substitution by Sunni and Shi’a Arabs from other parts of Iraq. We were particularly disappointed by the intimidation of voters in Al Kosh. Here a. security officer attempted to enter the polling station, intimidated local voters throughout the day, and attempted to enter the count with a group of thugs. The local police stood their ground and deserve particular commendation, evicting the security officer from the polling station. The turn out was good, and 16,703 of Al Kosh’s 21,800 registered voters cast their ballot in the referendum. In the end, the vote was fairly counted without manipulation. A complaint verified by ourselves and received from voters in Kirkuk, in regard to bad practice, was the use of election posters within polling stations. Thus, in this instance, polling station posters showed a voter casting a “Yes” vote. Clearly this action does not contribute to the unbiased environment required in a polling station and creates a bad precedent for the forthcoming general election in December. We are also concerned to see independent observers attend local counts at regional polling stations. This would be difficult, if not impossible, in view of the fact that polling stations each count their own vote and make three copies of the voting form. One they keep. One they forward to the provincial IECI office. One they forward to Baghdad. Concerns have been expressed that there is no continuously observable process, because the announcement of the result in the Green Zone is a distinct event, separate from the count itself. This does make the process appear less transparent. The situation will be adequately rectified when the full results for every polling station and the calculations showing the summation of these into the total vote for each governorate respectively are made available for inspection. We have been assured by the electoral adviser from the United Nations Assistance Mission to Iraq that these details will be available on request within a reasonable time-frame. We intend to check these results for the controversial Ninevah governorate. We have every reason to believe we will be able to do this. If this does not happen to our satisfaction we will make the matter public before the forthcoming December elections. The Next Century Foundation recruited its own team of monitors to attend the Baghdad count and many of the members of this team participated in the monitoring of the former elections back in January 2005. They reported that, “there is a very big difference in the whole process” this time around. They found the procedures adopted more credible and more transparent. This assessment was not unique to our own monitors. Other organizations also reported a dramatic improvement in levels of transparency at this referendum as compared to the January elections. T here were no foreign observers in any of the regions we visited other than ourselves. There were foreign observers in the Green Zone and the prisons (and possibly in greater Baghdad / Basrah), and these observers we understand were to have recruited local teams. Though we came across no such local teams recruited by international organisations in the regions we visited, we are aware that, in all, the IECI registered 15 International Observer Groups that accredited almost 700 observers. We received a complaint from our own observers that all electoral monitors were removed from the count in the green zone on 20th October, whilst the counting was still proceeding. We are assured that this was the result of a misunderstanding and have every reason to believe that this unacceptable practice will not be repeated. In general, independent Iraqi observers were absent from most polling stations in larger urban areas, although they appeared more likely to be present at polling stations in the smaller towns. The best independent observers we noted were often local lawyers who seemed to regard it as their civic duty to take on this work. They were noted in practically every polling district we visited. Indeed, virtually all independent observers visible during our visits in the interior of Iraq were lawyers. In all, the IECI accredited 53,000 independent observers for the constitutional referendum. In big towns and cities, there tended to be more observers from political parties. IECI accredited over 120,000 political agents for the constitutional referendum. Many of these representatives were found seated as observers right alongside the ballot box. Though these seemed to be people of good will with little desire to influence the vote, we would recommend that, in the future, observers from political parties be kept out of the actual room in which the ballot is cast. Observers from the political parties can and should be invited to the count, however, but only where there is no chance that they may intimidate those who are actually tallying the ballots. This was a problem in small towns, most particularly in Suleimaniyeh region. In the January election, Halabja town suffered in this way. In the October 15th referendum, there were problems in much of the wider region. Dhukhan town was a case in point with many names missing from the voting lists that had been registered in January. Upwards of ten per cent of the electorate in this region was disenfranchised in this way, according to local election officials. This failure, whether deliberate or accidental, caused considerable local distress. The senior electoral officer for Dukhan stated that previously (in January) voting lists had arrived early giving them time to check and correct the lists. But not this time. The people blame Baghdad for this failure, adding yet another complaint against the central government. Dohuk also had some difficulties of this kind, though to lesser degree. In part this and other related voting list problems stem from over dependence on UN ration list information in the absence of a national census. The provision of a census for Iraq has a whole has been delayed. We recommend that a census proceed immediately to avoid future problems of this kind. We were disturbed to note that the local count was almost always conducted at the polling station. There are dangers in this. We do not suggest that the count be conducted nationally in Baghdad, but we wonder whether the count might better be conducted at regional level to reduce the opportunity or inclination for fraud. Overall, we regard this referendum as having been fair -- despite minor local irregularities. Though these were regrettable, they had no significant effect on the final outcome. Numerous international observers were present, but (with notable exceptions including monitoring in secure areas such as the prisons and the Green Zone) the general practice was to employ local Iraqi observers on their behalf (which is entirely credible) whereas we traveled the interior ourselves. The Yezidi are a substantial religious minority who pray towards the sun and consider angels as worthy of the highest respect. They are particularly common in Northern Iraq. In the Yezidi town of Bashiqa 92% of these whom voted, voted “yes”. Closed by Iraq in this particular instance, not by Turkey, for reasons of security during the election period. (ZNDA: Rome) Some Christians in the northern Iraqi city of Mosul have become the victims of extortion as unknown terrorist groups threaten to kill them or kidnap family members if they do not pay large sums of cash, said two Iraqi priests. One 43-year-old Christian man, married with three children, "was killed last week because he didn't pay," said Dominican Father Mekhail Nageeb of Nineveh, near Mosul. After a group of unidentified men went to the man's workplace to extract money from him, "he tried not to pay and he ran out, so they killed him," said the Iraqi-born priest, who is the Dominicans' superior in Mosul. Father Nageeb said he knows about "more than 10 or 15 people" in Mosul who have been forced to pay exorbitant sums of money to anonymous groups who have threatened to kill the victim or abduct family members. The amount of money terrorists demand from an individual can run anywhere from $100,000 to $150,000, he said, forcing many to sell their homes, furnishings, properties or beg relatives or neighbors for cash. Others, he said, simply flee Iraq for a brief period in the hopes of escaping the threats. "It's a really catastrophic problem now," he said. Chaldean Father Sabah Patto, who was visiting Rome, said that Christians are sometimes told they are paying a "protection tax." He said the terrorists tell them, "We are protecting you, so you have to pay us." Father Patto, who was born in the northern Iraqi town of Zakho, has been responsible for the Chaldean community in Germany since 2002. Though he is based in Munich, he said he often hears news about what is happening to the Chaldean and other Christian communities in Iraq. He said some Muslim religious leaders in Mosul were telling people to not buy homes or property from Christians "because they will become free (at no cost) for people" after the Christian owners are forced to flee the area. Muslim elements "are encouraging the Christians to leave their country and to leave their properties and everything, and nobody is buying from them," Father Patto said. Father Nageeb confirmed this was happening and said that in the neighborhood of al-Saha in Mosul, "there are more than 20 or 30 homes without people living in them" after the Christian homeowners left the country. He said Muslim families have asked him to take over the properties since they are empty, but he does not accept their requests. Instead he tells the families the homeowners have just temporarily left and plan to return. Many, in fact, do return after fleeing to neighboring countries "because it is very expensive in Syria and Turkey" and because "nobody gives them a visa or papers to leave the country," he said. Father Nageeb said other anonymous groups sweep neighborhoods, canvassing for cash "because they want to buy guns and explosives to use against the Americans." He said these groups try to drum up money by telling people "'We want to liberate the country, we are against the Americans and we protect you so you must pay us.' It's very dangerous." When asked why Christians were the target of extortion and forced migration, Father Patto said it is because some fundamentalist Islamic groups fuel the notion that "if they do something against an unbeliever," that is, someone who does not believe in the Quran, "it's not a sin or there is no problem in it because the unbeliever is wrong." Father Nageeb said some Muslims, too, find themselves ensnared in terrorists' demands for cash and protection fees, but he said the Christians are more vulnerable because they are a minority community in what he called a lawless country. The terrorists target people they see as "rich people, and the Christians are without protection (because) there is no government," no law enforcement, and "no law." Father Nageeb said the church in Iraq is not able to do much other than stay in the country and offer spiritual or psychological support for its communities. The church has been unable to help poor people or the unemployed because the churches "are without money and without organization." He said he thinks church leaders "are afraid" and reluctant to lead relief projects because terrorist groups might think the bishops have money. Father Nageeb said the church "can't say we have money or show we have money" or it might risk being the target of kidnappings for ransom. This is why "legislation and law in Iraq is very, very important, to protect Christians" who are treated "like second-class citizens." "All of Iraq is without protection, not just Christians" and many bishops and religious, like most residents, are forced to stay confined in their residences or immediate neighborhoods, he added. He recalled the January kidnapping of Syrian-rite Archbishop Basile Casmoussa of Mosul who was abducted by unidentified gunmen and freed unharmed less than 24 hours later. The Vatican had said no ransom was paid for the prelate's release and that it had been unclear whether the abduction was directed against the Christian community or was part of the general criminality in Iraq. Father Nageeb said it is "important for the Christian people to see that the bishops and priests stay" in Iraq even though they have nothing to give them to help them. Father Nageeb urged bishops and Christian communities in Western countries like the United States, Australia or Europe "to help these bishops inside Iraq" who are without protection and resources. Western church leaders "can help with money and prayers," he said. (ZNDA: Chicago & Rome) The Holy Synods of two historic Assyrian churches were in full session, back to back, starting with the Synod of the Bishops of the Church of the East in Chicago which ended this Monday and the Synod of the Bishops of the Chaldean Catholic Church in Rome which began on the same day. At press time no official statement has been released to Zinda Magazine from the offices of the Patriarch and his bishops in Chicago. However, sources close to the Patriarch told Zinda Magazine in Chicago that the main focus of this year's Synod has been the review of Bishop Mar Bawai Soro's conducts during his term as the bishop of the Western U.S. Diocese in northern California and the condition of the Church in Iraq, in the northern region in particular. Three days, prior to the opening of the Synod in Chicago, Mar Dinkha IV met with Mr. Masoud Barzani in Washington D.C. to discuss the construction of His Holiness' new patriarchate complex in Ankawa, near Arbil, and over 20 new parishes of the Assyrian Church of the East in the Kurdish dominated region in the north. The construction project, according to sources to Zinda Magazine, is estimated around 25 million dollars. The special Synod of the Chaldean Church is also in full session this week in Rome attended by twenty bishops from Iraq and the diaspora. The Synod is expected to end on Saturday, 12 November. Another Kurdish leader, the Iraqi president Jalal Talabani arrived in Rome on Monday for a visit that includes talks with Italy's top officials and a meeting at the Vatican with Pope Benedict XVI. 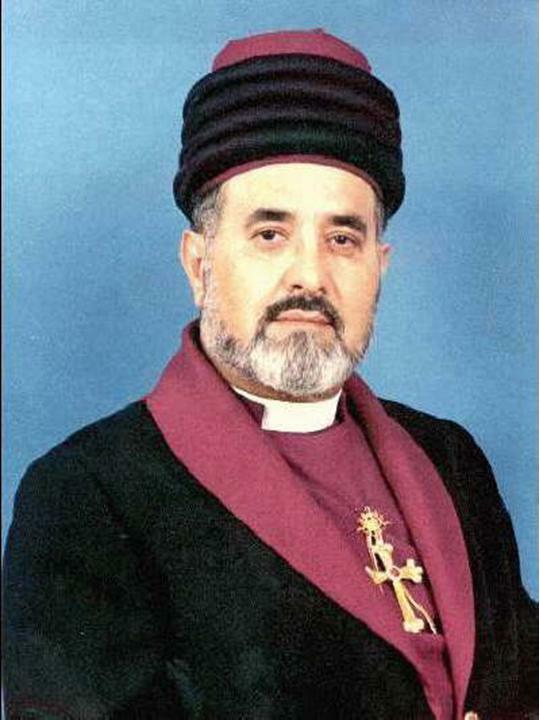 Both Church of the East and Chaldean Synods preceded meetings with the two top Kurdish leaders from Iraq. The prelate did not add much except to say that the bishops are scheduled to meet the Pope in an audience this Saturday and will take part in the beatification ceremony of Charles de Foucault in St Peter’s Square. The Chaldean Church has about 550,000 members in Iraq and another 150,000 around the world. The Chaldean and Assyrian bishops are meeting behind closed doors. Usually the Chaldean bishops come together once a year; however, the urgency of the Iraqi situation has prompted the holding of a second synod after the one in Iraq at the start of 2005. Father Philip Najim, an official in the patriarchate, said the bishops will also discuss reform of the Chaldean liturgy and the law. Chaldean Archbishop Louis Sako of Kirkuk said that urgent matters include setting up a "direct line" of the Church to make proposals "with courage" to the government; studying the problem of migration; and how to counter the "growing proselytism of evangelical churches in Iraq." Patriarch Emmanuel III Delly said the "new evangelicals" who arrived after the war seem more committed to collecting money from foreign rich donors rather than spreading the Gospel. The hope of the bishop is that the Synod will tackle these matters: “that we may undertake serious research about the new Constitution and prepare ourselves to ask for new changes. We would need committees to engage in serious research, like the Maronites are doing in Lebanon. Those charged with the task could meet, say, in the Kurdish areas where security is absolute. But perhaps the will is lacKing. We must find the courage to speak out and to ask for more rights from the authorities”. Another problem which Sako proposes submitting for discussion is the “aggressive proselytism of Protestant churches which came to the country with American troops”. He said: “In Baghdad, there are 16 new (churches) and here in Kirkuk, there are two or three; many members of our community are leaving to join them.” It is clearly a must to see “why and what they are searching for”. 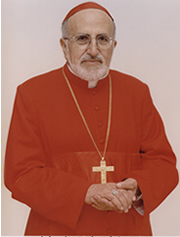 Continued the bishop: “Methodists and Presbyterians come with the army and they proselytize Catholics and Orthodox: they draw people with money and the promise of visas for migration, they hold celebrations in Arab dialects, while we have not updated our liturgy as yet.” According to Mgr Sako, “the future of the Chaldean Church is here in Iraq”, however Christians are increasingly migrating from the country. “Our people feel isolated from the rest of the world and they leave the country in search of security: Kurds in the Kurdish areas are well protected; Arabs have the support of neighbouring countries but what about Christians? They are alone.” The bishop gave an example: “If a Christian is kidnapped, the family must somehow find the money to pay the ransom; we do not have support from anywhere. Our only respite comes from Disapora Chaldeans; they collect funds and they are only ones who can put pressure on western countries to protect Christians in Iraq and the Middle East.” Some Christian leaders claim that between 10,000 and 40,000 Christians left Iraq between August and October 2004. 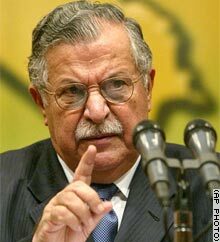 Talabani met with Italian President Carlo Azeglio Ciampi on Monday afternoon, but no details were released. Talabani also held talks with Premier Silvio Berlusconi and Foreign Minister Gianfranco Fini on Tuesday. Berlusconi, who supported the United States in its war in Iraq despite strong domestic opposition, sent about 3,000 troops to the country after the ouster of Saddam in 2003. Italy is now gradually pulling out its contingent. Talabani praised Italy's commitment and said "a premature withdrawal would be a catastrophe for the Iraqi people and a victory of terrorism." Monsignor Philip Najim, who represents the Chaldean Church at the Holy See, echoed Talabani's comments, saying international troops had a duty to stay in Iraq. "This situation in Iraq didn't exist before. It was borne by the presence of the troops, and I am forced to ask that they not leave Iraq," he told Vatican Radio. Mr. Albert Yelda, an Assyrian, is currently Iraq's ambassador to Vatican. The Bay Area’s Assyrian community joined with the Assyrian communities from Los Angeles, Chicago, and Phoenix on Friday, November 4th at the Ritz-Carlton Hotel in San Francisco for the fourth annual Narsai’s Taste of the Mediterranean charity dinner and auction, raising $150,000 for the Assyrian Aid Society of America and the Assyrian Aid Society-Iraq. agricultural, and other humanitarian projects in Iraq. Call for details - Gifts not to exceed $1,000.00 - Provided at the close of escrow. in San Francisco, Dr. George also conducted a seminar at the University of California – Berkeley and appeared on KQED's nationally acclaimed radio interview program, Forum. North Beach and Justine Miner of RNM. Wine was donated by Darioush, Gloria Ferrer, Miner Family Vineyards, Oakville Ranch, Showket Vineyards, and Narsai & Venus David Vineyards. The featured performer was singer Lida Lawando, plus the traditional music of Daniel Eshoo & The Ancient Echoes. year’s auctions raised over $65,000. Ritz-Carlton, KCBS Radio, Fossil, Macy’s, Medius Corporation, Super Sightseeing Tours, and Zinda Magazine. The Assyrian Aid Society of America (AAS-A) is a 501(c)(3) charitable organization dedicated to helping Assyrians in need, preserving Assyrian culture and heritage, and focusing American and international attention on the needs and humanitarian concerns of the Assyrian people. This year, Zinda Magazine sponsored 22 Assyrian students who attended the dinner event at a special discounted price. Thanks to the generous donations of two Assyrian benefactors and Zinda Magazine, each of the students enjoyed a 5-course dinner and met with several Assyrian dignitaries for less than 10 percent of the regular ticket price. For background information click here. King: The crime occurred in North Carolina, but the family all joins us where they now live in Munster, Indiana. They are Rose Syriani, the oldest child of the Syriani family. She was in her early teens when her father fatally stabbed her mother. 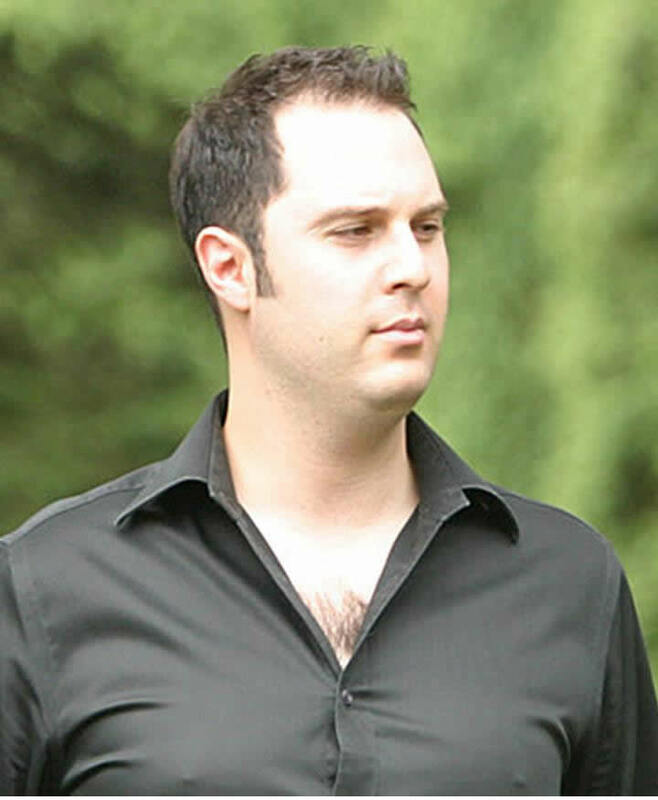 Also there is Sara Syriani Barbari, the Rose's youngest sister, John Syriani, who was 10- years-old when he witnessed his dad stabbing his mother and Janet Syriani, the baby of the family. She was only 8-years-old at the time of the murder. She's currently a sophomore in college. Here's the Syriani family story. It is summer 1990, Rose, Sara, John and Janet's father Elias stabs their mother 28 times with a screwdriver. The mom Theresa died 25 days later. They testified for the prosecution at trial. And their dad was sentenced to die. Now 15 years later and just days from the scheduled execution, November 18, they're hoping that North Carolina governor Mike Easley will reverse the death sentence. Let's start with Rose. Why do you want your father to be commuted to life? Rose Syriani, Mother Fatally Stabbed: Well, I have to start off by telling you the past 15 years has been a struggle. And recently in the last two years, we have been able to put to peace, some sort of peace, you know, by having some sort of contact. And this miracle that's happened by forgiving our father. I can't stress enough this has been such a difficult time for us. And the days leading up to the execution date, we're just hope hoping that this execution does not get carried out. For my own reasoning -- I feel that at some point now I'm able to close the book, close a piece of my past that was always a black hole, that was always a black hole in my heart. And I've been trying so hard to move on. King: John -- finish, dear. John, you were 10-years-old. You witnessed the stabbing, right? John Syriani, Mother Fatally Stabbed: Correct. King: Why do you want to forgive? John Syriani: Well, basically before this happened, me and my father were best friends. We were inseparable together. We were always going fishing. He was basically always guiding me the right way. God taught us to forgive. And that's exactly what I did. I love my father. He's my flesh and blood. I just thought about it and put it in my heart to forgive my father for what he has done. Basically, I just want to let everybody know that I had to put in my heart to forgive my father. And I know that it's a time of peaceful, and we need to basically get over this hump that we're going through right now. And we're just blessed with God. And we just want to wish that the governor can hear us and accept our plea. King: Sara, why did he murder his wife? Barbari: To be honest, Mr. Larry King, that's not a question that I could answer. I know from talKing with my father that he lost it. Like I said, I really cannot explain. That's a question that would probably be more appropriate for my father. Rose Syriani: One thing, Larry. King: Go ahead. Anybody could chime in. Rose Syriani: I'm sorry. Yes. This is Rose. You know, one thing that we want to share with you is the first day that we actually went in and decided to confront my father. All of us, you know, at some point were thinking about it for some time and we decided simultaneous -- we decided that all four of us would go and confront this man. There were so many feelings that I personally had. I was angry and, you know, just scared of him. And, you know, so many of my emotions growing up as a teenager and not understanding where they came from and just by the grace of God we've stuck together, the four of us. And we've been able to get through this. For the past 13 years we've done it on our own. Friday, November 11, 2005 is Veterans Day in the United States. Zinda Magazine is proud to have some of America's veterans as our subscribers - both Assyrian and non-Assyrian. This year, the free world marks the 60th anniversary of the end of World War II. As this day approaches, Zinda pauses to remember veterans for their patriotism, love of country and willingness to serve and sacrifice for the common good of all humankind. Join Zinda Magazine as we pause to especially honor all Assyrian veterans who served in the armed forces of every adopted country. King: Rose, did you want them to execute him originally? King: Let me get in a question in for Janet. Then we'll take a break and come back with more. Janet, you were a baby at the time, only 8-years-old. How do you feel about all this? Do you have memories of your mother? Janet Syriani: I have vivid memories because of my siblings. They tell me stories. And now I just feel like I have the parent that I've always wanted. I was so young. I was only 8, obviously. So I just now need the parent figure that I've longed for all these years. King: How often do you see your dad? How often do you see him? Janet Syriani: Since the past two years, about six, seven times. We try to go a few times a year. King: Let me get a break. We'll talk about the clemency hearing, what they plan to do. The Syriani family, an amazing story. Don't go away. Elias Syriani , Murdered Wife: Almost all day, I am with my wife and my children all day. Unidentified Male : In your mind? Elias Syriani: Yes, and when I sleep sometime even I dream I wake up and I stay like that. King: Sarah, when is the clemency hearing? Barbari: Thursday, November 9th. King: That's this Thursday? King: That's in North Carolina? King: Do you know who will appear supporting the idea of lethal injection? King: No, no, not your support. Who's going to be on the other side? Rose Syriani: Well, you know, I'm not sure. I mean, as far as the prosecuting side? Rose Syriani: We're hoping, we've been told that they are willing to share their time with us. You know, this is a very unique case and in our opinion, it's not black and white. You know, we're not up here, you know, trying to save the world, you know, at this time. King: Is the governor at the hearing? Rose Syriani: He will be at the clemency hearing. You know, the prosecuting side has some time and the defense side has some time. And we're hoping that he would share his time with us and, you know, allow us to speak and just share some of our feelings and, you know. King: John, what about your mother's family? Is anyone going to appear on -- is her sister living, your aunt or uncle or anyone? John Syriani: Right now, Larry, I'm not aware of who is going to be there. But, I really couldn't answer that question for you right now. 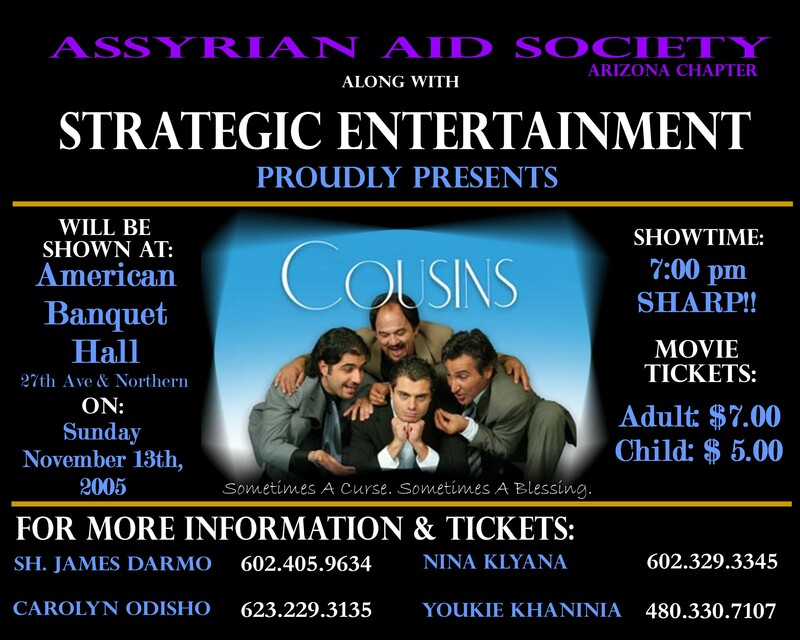 Friday, November 11 - 7:00 p.m.
Friday, November 11 - 9:00 p.m.
Assyrian American Association of Chicago, Inc.
Saturday, November 12 - 1:00 p.m.
Sunday, November 13 - 11:00 a.m.
Sunday, November 13 - 5:00 p.m.
Rose Syriani: It is important to mention that, my mother's side supports her children. We are the ones that have been hurt the most. And Larry, we're nervous up here, but this is really an extraordinary story. And it should be shared with everyone. And at this point, we're just hoping that our healing process is not stopped and that we regress another 15 years. King: I'm trying to not -- I'm trying to see that you don't get repetitive. You're making your point very well. I want to bring in some other members of the family as well, so we can hear from them. Janet, what is it like when you talk to your father? Is he remorseful? Is he remorseful over the killing? Janet Syriani: I mean, it's just unbelievable the way...Rose Syriani: For someone to hurt their child, I think has be. King: Hold on, let me get a break. I'll come back, hold it, let me get a break. We'll be back with the Syriani family. Sarah Syriani: I've always thought of him as a murderer that took my mom. But when I saw him for the first time, waving and smiling, like a kid in Disneyland, I saw my dad. King: Sarah, will your main argument at the clemency hearing be, we forgive him, therefore the state of North Carolina should forgive him? Barbari: ...that if this is carried out that we are going to take a step back. Janet Syriani: 15 years back. It was a long healing process. King: Rose, is this the last chance, this hearing? Rose Syriani: Yes. Yes, it is. King: No appeals, everything's gone. King: If he attends -- does he -- he's part of the clemency board, right, in North Carolina? Rose Syriani: Yes, he is. King: So he will be there Thursday. Rose Syriani: Well, he will be there Thursday right. But from my understanding with the governor's counsel. Barbari: We are requesting a face-to-face visit with the governor. As of now, we don't have that scheduled. So we're hoping that he will allow us to come in to, you know the conference room and meet with him face to face to hear us out, to know each individual. And, you know, to hear where we're coming from. So as of right now, we don't have an actually one on one visit with Governor Easley. We're hoping that he'll change his mind. King: If he sits on the board, he will hear from you, will he not? If he's a member of the board? Do we know? Rose Syriani: That's what we're hoping. That's what we're hoping for, that we will have that face-to-face with him. King: Let me get a break. We'll be right back with more on this addition of LARRY King LIVE. Don't go away. Rose Syriani: We cry because we lost our mother. We cry because we lost our father. And we're blessed that we have these two people in our lives at the most important time, where I learned so much from my father as the oldest and taking charge of the family and no matter what hard time we go through, we stick together as a family. Barbari: That first meeting with him, all of these hurt and anger and feelings just like floated away from me. Janet Syriani: I was looKing through letters that he had written my brother and there was something that said, your sister is having a hard time. He's still trying to protect us. Rose Syriani: I don't think anyone can go from absolute hate to love in a split second if it didn't come from some place else. King: Sarah, you are pregnant, are you not? Barbari: Yes, I am. Five months. King: So if we keep him alive, it will be his first grandchild, right? King: I guess he's excited. Are you at all prepared -- Rose, we're running close on time. Rose, are you prepared for the worst? Rose Syriani: At this moment, we are focusing all of our energy and trying to do what we can to stop this. You know, I have to mention -- I have to say that it's very important. Fifteen-years-ago the state of North Carolina was protecting us. They saw these four children heartbroken, but 15 years later a miracle happened. And now we're asKing the state of North Carolina to protect us again. I just -- I'm sorry. King: John, are you hopeful? John Syriani: Yes, Larry, I am very hopeful. I just pray every night before I go to sleep that God will listen to my prayers. And he's answered my prayers once before of getting all four of us and reuniting with my father. He answered that prayer for me. So, I'm hoping he'll do the same with this. I feel very positive about it and I just pray every night. King: Wish you the best. Janet, are you hopeful? Janet Syriani: I'm definitely hopeful. Definitely. I can't wait to come and visit him and finally tell him that I made his dream come true and I've become a college graduate. King: Do you know if they let you know right away, Sarah, at the hearing or do they get back to you? Barbari: Well, to our understanding, just the way that Governor Easley has handled things in the past, I don't know how soon we'll find out. King: We'll stay right on top of it all day Thursday. Thank you all. And best of luck to you. John Syriani: Thank you very much, Larry. King: Thank you, guys. Good luck. (ZNDA: Vancouver) Representing Canada at Miss World is Ms. Ramona Amiri, 24, an Assyrian who earlier this year won the Miss World Canada title. The month-long race has already begun in China. There are 120 contestants including assembled in Sanya on Hainan Island, China, where the competition runs until December 11. To make the final, participants must progress through four sections: Beach zone, Talent Zone, Miss World You Decide (global phone text vote) and Beauty with Purpose. The modern day Miss World pageant is all about doing good, with a global focus on raising money for charities. If she captures the Miss World crown, Ms. Amiri will spend the next year jetting from country to country using her profile to help secure donations. Ms. Amiri is a medical research assistant. She was born and raised in Montreal. She moved to Vancouver in 1997 to attend University. Graduating university with an Honours Bachelor of Science Degree in Biology, her ambition is to continue worKing with the Children’s Fund while completing medical school to become a Doctor. 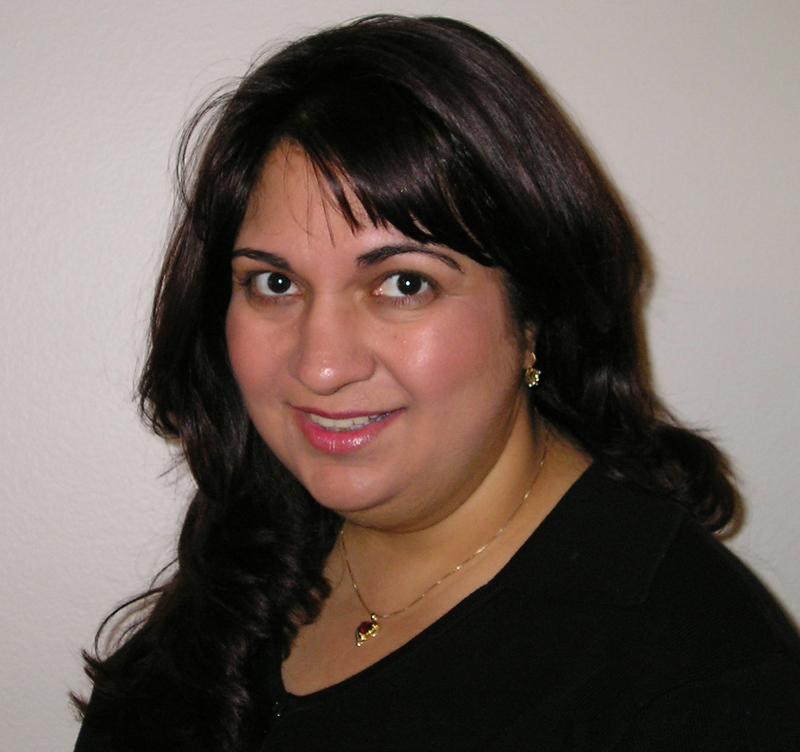 Ms. Amiri's hobbies are belly dancing and modern dance, cooKing, reading, piano, and riding her motorcycle! Sporting interests are: ice hockey, volleyball, badminton, swimming, roller blading and hiKing. Ramona is half-Assyrian from her father’s side of the family and is proud to speak the language. Her personal motto is “Work like you don’t need money, love like you’ve never been hurt, and dance like no one’s watching”. "I am a compassionate, honest and loyal person. These characteristics definitely help to bring out the best of others, as well as the best of myself. When you have compassion, honesty and loyalty, how can you go wrong in life? ", says Ms. Amiri. On her unusual talents, Ms Amiri says: "Thanks to my Arabic and belly dance training, I am a very flexible person. Since belly dance especially involves moving the hips and worKing out those abdominal muscles, I developed a very unusual talent thanks to all of this exercise: I am able to flip a coin over on my stomach!" On her Assyrian heritage Ms. Amiri makes the following comment: "I would love to visit a place in Iran called Urmieh. My father’s roots are in this magical region, which has been traced back through the Bible; many say this region is the original Garden of Eden. Ancient culture and history have always fascinated me, along with my family’s Persian and Assyrian heritages, so I would love to visit to find out if I can see a little bit of Eden in Urmieh!" To view Zinda Magazine's special photo gallery of Ms. Amiri click here. Photos by Paul Alexander. On Saturday, October 29, 2005 and around 6:30 p.m. Michael Seeron Michael was standing in front of his home in Almas Assyrian quarters of the northern Iraqi city of Kirkuk, when a white Opel stopped and shot Michael four times in the chest. Michael was the head of the Digging Dept. at the Northern Petroleum Company of Iraq; he had joined the Iraqi Petroleum Company after his graduation from Baghdad University in 1977 and fulfilling his military service. I mourn you my friend. Michael (Mikho, as we all knew him) and I grew up together on the same street in Almas. Only four houses separated our homes. We were friends since we were in elementary school (even though we went to two different Christian private schools, the Assyrian and Dar al-Salam). We remained friends throughout high school and later through our university years (Michael in Baghdad and myself in Mosul) as we got together during summer when students returned home. I remember those childhood and youth years when we played together soccer, marbles, shaqqa oo palla (Assyrian version of baseball), and later backgammon and chess. He was a very smart student and genius in mathematics. In my first year in Mosul University, he was my tutor during summer and helped me pass the final test in advanced math (Calculus) because I had to retake that exam. His dedication to his work was unmatched; he literally gave it his whole life. Lately, he had told close friends that members of the Kurdistan Democratic Party (KDP), who visited him at his office, had threatened him. They had given him an ultimatum, quit his job, or join the KDP. The Kurds are eliminating everyone that stands in their way in the oil rich city of Kirkuk. Reports to this writer indicate that many notable Assyrians, Arabs, and Turkoman have been assassinated by Kurds in the city, which Kurds claim, without any historical merit, to be their capital. Michael was a true Iraqi. He used to tell us all, you will all leave Iraq, but I will stay here; this is my country. He asserted that he was born in Iraq and that he was going to die in Iraq. When the company sent him to the United States on a special training program about a year or so ago, many people suggested to him that he should stay here, but he refused. His love for Bet Nahrain was unblemished and unconditional. Farewell my childhood friend Michael Seeron Michael! Saturday, November 12, 2005, from 10 a.m. to 5 p.m.
R. Burgess: "The Greek Antecedents of Syriac Chronography"
The Chronikoi Kanones (/Chronici canones/ or /Chronological Tables/) of Eusebius of Caesarea (c. 260-30 May 339) was first composed around 308-311 as a work of apologetic and scholarship, aimed at Christians and non-Christians alike. Although it no longer exists in the original Greek - indeed it would seem that an intact, uncontaminated version failed to survive even the fourth century - and had but a minimal influence on later Christian chronography in Greek, it proved to be the spark for historiographical revolutions both to the West in Latin and to the East in Syriac. This paper will discuss the influence of the /Canones/ on the origin of chronicle writing in Syriac and its early development in the sixth to eighth centuries. M. Debie: "L'héritage de la chronique d'Eusèbe dans l'historiographie syriaque"
L'idée est de voir ce que les historiens syriaques doivent à la chronique grecque d'Eusèbe de Césarée qui constitue à la fois un modèle (le genre, créé par Eusèbe est très novateur) et fournit un matériel historiographique. Il convient d'évaluer ce qui vient de la chronique grecque concernant l'histoire biblique et plus généralement antique : l'histoire de la Mésopotamie ancienne, de l'Egypte, de la Grèce et de Rome. Les auteurs syriaques ont-ils complètement repris la chronique d'Eusèbe (disparue en grec mais traduite en latin et en arménien, en syriaque aussi, mais citée de manière indirecte par des auteurs plus tardifs) ou ont-ils procédé à des sélections et si oui dans quel sens ? Quelles autres sources ont-ils utilisé pour ces périodes ? Le rôle joué par la chronique d'Eusèbe dans l'historiographie syriaque est connu, mais il convient aussi de l'analyser plus finement au niveau du contenu transmis en comparant avec ce qu'en ont retenu les chroniques byzantines, celle de Georges le Syncelle notamment. J. van Ginkel: "Michael the Syrian and his Sources, Reflections on the Methodology of Michael the Great as a Historiographer and its Implications for Modern Historians." Patriarch Michael the Syrian wrote his Chronography (finished AD 1195) as a universal history. As a result he had to rely on a large number of sources, i.e. previous historiography, to write his account. In the paper an analysis of Michael's use of these sources will be presented. The focus will be on how Michael selected his material and how he “edited” this material. This analysis is all the more important as many Syriac historiographical works have been lost and only fragments of these works have been preserved in the Chronography of Michael and in the Anonymous Chronicle of 1234. The study of Michael's selection and editing process will help us in our study and use of these fragments as reflections of the preceding works. Selection can be accidental - for example parts of the work had been lost by the time that Michael was writing his chronography - or it may have been a conscious decision - for example because in hind-sight the result of a historical process was known while the original author had written his account as the process unfolded. Another factor may be Michael's particular world-view, which may have been different from the source-author. A second group of texts, that will be analysed, are fragments of lost works, which have been used by different later historiographers, independently of one another. For example, Dionysius of Tel Mahre (finished AD 842). The aim is to present a more structured account of Michael's working method and - hopefully - provide some additional insights in the “usefulness” of “fragments” for modern research, and on how to handle these fragments. Although similar work has been done for Western Medieval Historiography, this will probably be a first for Syriac Historiography. M. Greatrex: "Pseudo-Zachariah of Mytilene: the Question of Genre"
The work of Pseudo-Zachariah of Mytilene is a complex and composite one. In the context of a SSHRC-funded project to translate and comment on the Church History ascribed to Zachariah, I intend to discuss the contents and nature of this important source. In the manuscript (Brit. 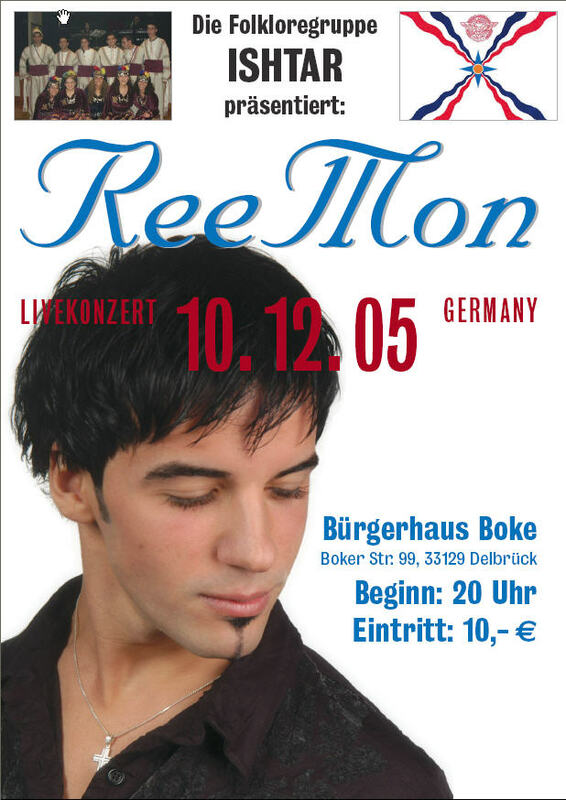 Mus. Add. MS. 17,202) the work is simply described as “a volume of record of events”, and it is clear to any reader that it is broader than either a church history or a chronicle. This paper will examine the issue of genre and seek to determine the source of influence on “Zachariah” and to what extent the author merely inserted extracts from earlier sources (such as that of the genuine Zachariah of Mytilene). A. Harrak: "The Syriac Sources of a Recently Discovered Christian Arabic Chronicle"
Syriac writers of the Abbasid period (AD 750-1400) produced a small number of chronicles written in Arabic, using Syriac sources some of which are lost. One major source entitled the Seert Chronicle covers the Byzantine and the early Arab periods but misses its first part which probably dealt with the Roman period and early Christianity in the Near East. The recent discovery in Iraq of a new Christian Arabic chronicle not only covers the periods missing in the Seert Chronicle but also follows the latter’s plan consisting of thematic chapters rather than of date lemmas as is usual in Syriac chronography. The present paper will discuss the sources of the recently discovered Chronicle, its date, and whether or not it is the missing part of the Seert Chronicle. A. Al-Jadir: "Numbers and Dating Formulae in the Old Syriac Inscriptions"
In the study of Syriac historiography, dating and dating formulae are of fundamental importance. This paper will deal with the numbers in the Old Syriac inscriptions, which may be expressed in two ways, either by numerical symbols or written out in full. Both types are mainly used in dating formulae and it is also to be noted that in the Syriac parchments of the third century A.D. letters of the alphabet are attested as numerals. Numerical symbols were used in the inscriptions from the beginning of the first century A.D. until the second half of the second century (before A.D. 188). The writing out of numbers in full became more widespread after the second half of the second century. It is also to be noted in the parchments that dating can be based on the period of office of high-ranking administrative, military and religious officials. W. Witakowski: "The Ecclesiastical Chronicle of Grigoryos Bar 'Ebroyo' "
Grigoryos Bar ‘Ebroyo, the famous Syrian intellectual of the 13th century, composed inter alia the Chronography, the last Syriac historiographic work of the classical period. It is divided in two parts, covering the general and ecclesiastical history, respectively. The latter is an exposition of the history of the priestly office starting with the Jewish high priests of the Old Testament times, and - in the Christian epoch of the Apostolic see of Antioch. This is continued by history of the Syrian Orthodox Church, to which the author belonged. Nevertheless material concerning the Church of the East (“Nestorian”) is included, a rare phenomenon in West Syriac historiography, showing Grigoryos’ ecumenical attitude. The work was already published in 1872-1877, but it has never been studied in a systematic way. The paper will try to characterize the work, and set it in the tradition of Syriac ecclesiastical historiography. Hardcover . 360 pp . 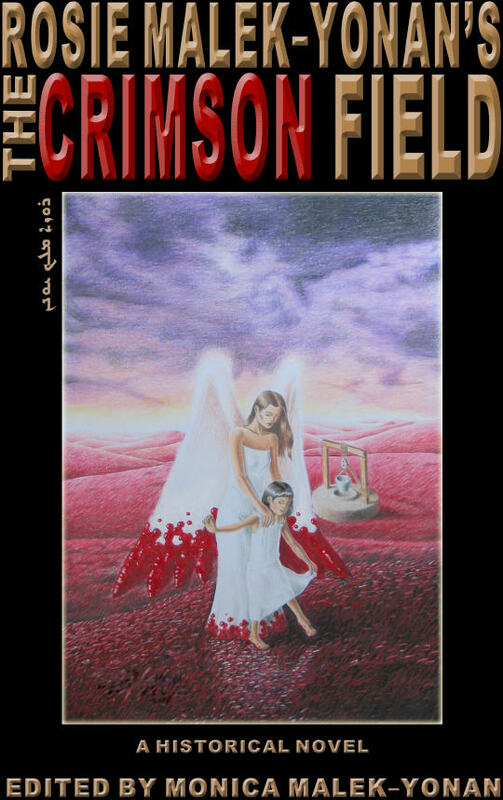 5955 Lindley Ave., Tarzana, CA Paperback. 400 pp. Both editions of "Mount Semele", English and Farsi will be available for signing. All royalties will be donated to Saint Mary’s Parish. Come and join the fun in a School and Parish Fete, a day full of fun and activity with many stalls, thrill rides, games, bargain buys, family activities, food, drinks, desserts and many more exciting things!! All proceeds of this day will go towards the Church and the Mar Narsai Assyrian College. Bargain buys: Bric a Brac, auctions of items at the hammer, gift ideas, christmas ideas, food, drinks, desserts. Come and have fun and raise funds for a good cause while you are at it. On Saturday, 12 November 12, the PalTalk room titled "ASSYRIAN_ Omtanyeh 100%" will conduct a live interview with the Assyrian representative in the Iraqi national Assembly, Mrs. Jacqueline Zomaya. Mrs Zomaya will discuss the upcoming elections on December 15th and the slate on which she is running with an Assyrian agenda. Toronto Est. time: 3:00 PM. "Why should we be afraid to play in a different house? Some years ago everybody lost their house, their home, but they didn’t give up. They are here and they are successful people!" With these words José Morais begins not only his career in Assyriska FF but also the documentary series: ”Assyriska - The National Team Without A Country”. For almost a year Laika Film and Television have followed Assyriska FF and their way to Premier Division football. We get to see the football players both on the grass and on the gravel, but also in the dressing room. Laika has managed to get close to the players and succeed in capturing their everyday life in a very good and natural way. - It’s been a struggle and it’s been tough on the players, and it isn’t until lately that they’ve seen the result and realized how big this really is, says Nuri Kino, one of the directors of the documentary. There is no doubt about it; “Assyriska - The National Team Without A Country” is great. Sports, politics, history and different human fates are woven together in a total of five episodes that will be broadcasted five Mondays in a row on the Swedish channel SVT2. The common tread for the documentary and its five episodes is the team, Assyrsika FF, and its players. The idea popped up during a hotdog barbecue. Erik Sandberg, director at Laika, was on paternity leave when he and his child were having a barbecue with some other fathers when one of them started a conversation on Assyriska FF and Assyrians. "For as long as I can remember I’ve been curious about this minority, but also fascinated about how successful the Assyrians are. Not only in business, but also in sports, and above all soccer," says Erik Sandberg. "I wanted to tell their story, so I contacted Nuri Kino and the rest is history. " It's been a long and difficult task. Apart from Sweden, the crew has been in the Middle East, USA, Germany and other countries to shoot Assyrians living in Diaspora. Many of them are following the Swedish team, from the militia in Iraq to the children in Tur Abdin, Turkey. The team Assyriska FF is not only a soccer team; it is a symbol of unity among Assyrians around the world. This is what we will witness in this well-made and well thought-out documentary. We will be able to see how the whole world follows the team’s every dribble and every pass, as well as every success and setback during their year in Premier Division football. All the ingredients of a good movie such as laughter, tears, disappointment, intrigue and love are there! It’s like real life American soap opera and is rarely seen or read about. Soccer teams are usually an enclosed circuit where personal issues are not discussed openly but as we already know, Assyriska FF is not an ordinary team. The team members expose themselves to the watching eyes of the whole world, which from my point of view inspires a deep respect, since it requires a lot of strength to expose your weaknesses. Fix a country first and then a flag! The documentary also shows the work that “Tifo” does behind the scenes. How they manage to make everything work, everything from the confetti to the fireworks, when it was time for the opening game against Hammarby. Their devotion is complete and they never seem to run out of energy despite the fact that they only get few hours of sleep. But when everything isn’t worKing as planner, it becomes a great source of irritation often triggers in frustration and outbursts of cursing, and expressions like “Fix a country first and then a flag”, are not uncommon. As I’m sitting in Sture cinema during the press release, watching the pilot episode, I´ve got shivers down my spine. I laugh, I cry and once in a while I smile. I don’t want the movie to end. Laika Film and Television AB have in an excellent way managed to capture the story about Assyriska FF and everything surrounding the team, and I’m really looKing forward to seeing the remaining four episodes. I step out into the pouring rain and as I leave Sture behind me, the only thing I hear is José Morais voice echoing in my mind and I deliberately let it continue because I can’t get enough of his words: "Why should we be afraid to play in a different house? Some years ago everybody lost their house, their home, but they didn’t give up. They are here and they are successful people!" 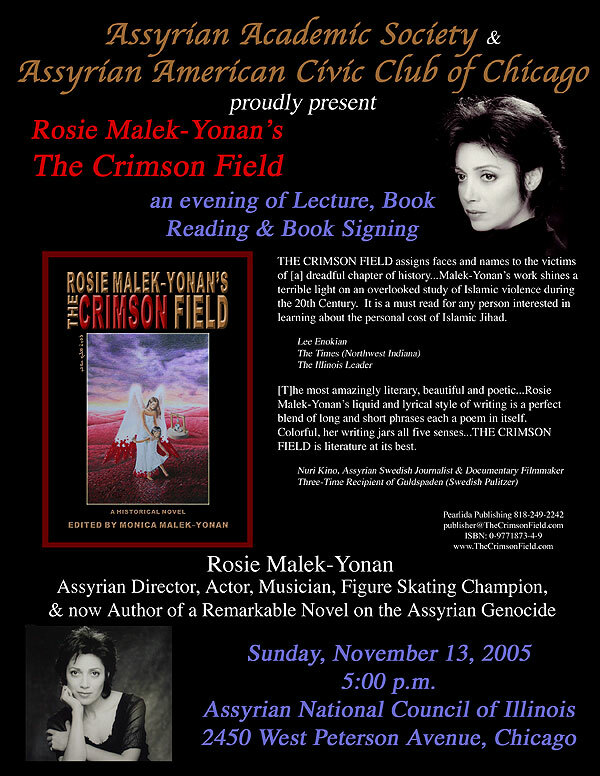 Chicago, 29 Oct. 2005: The genocide of Assyrians in Ottoman Turkey remains one of the darker pages in contemporary accounts of the Armenian Genocide of 1915. Despite the fact that Assyrian Christians were exterminated alongside Armenians, the world hears much less of the Assyrian factor. Some commentators even state that Ottoman Greeks and Kurds were also massacred in large numbers in 1915-16, though their massacres were more area-specific and were to be continued after the extermination of Armenian and Assyrians. Ara Sarafian was the guest speaker to the Assyrian Academic Community of Chicago (29 October 2005) where he examined the 1916 British Parliamentary Blue Book, The Treatment of Armenians in the Ottoman Empire 1915-16. 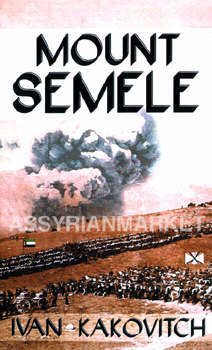 This book has come into prominence in recent years because of the ongoing denial of the Armenian Genocide by Turkish authorities, and the allegation that the 1916 report was a forgery. The Gomidas Institute has published two editions of the Blue Book, and publicly opposes the Turkish position. 1. Most of the key informants the British had when compiling the parliamentary blue book were United States Consuls (who were in communication to the outside world) and United States missionaries in the interior of Ottoman Turkey. Since there were no US consulates in areas with high concentrations of Assyrians (Diyarbekir, Mosul and Hakiari), and since American missionaries in these areas were expelled in the early stages of the genocidal process (e.g. from Mardin and Diyarbekir), there was a distinct lack of critical information about Assyrians from these ‘core’ areas. 2. Outside the main Assyrian inhabited areas, Assyrian Christians were vastly outnumbered by Armenian Christians and were as a consequence lumped alongside Armenians in descriptions of the genocidal process. The fact that many Armenian academic and political activists have avoided to engage the Assyrian issue over the years, the fate of Assyrians (and Greeks) have not been redressed in our understanding of the genocides of 1915. However, not all Armenian academics deny the genocide of Assyrians. One recent excellent publication reflecting the Assyrian experience was published in a special edition of Revue d’histoire Arménienne contemporaine, “Mardin 1915: Anatomie pathologique d’une destruction” (Paris, 2002). According to Sarafian, the way to engage the Assyrian issue in a constructive way today is through scholarship. “That has to be the bedrock of our understanding” he added. The ensuing discussion focused on various academic strategies for modern Assyrians to record and integrate their experience into mainstream academic debates. Sarafian stated that the Gomidas Institute could start an Assyrian publications series in the English language if there was serious interest. Others discussed the possibilities of cultivating new specialists and soliciting scholarly articles. The Gomidas Institute is an independent academic organisation dedicated to modern Armenian history. For more information about the Institute please contact info@gomidas.org. The following is a poem by a talented young Assyrian poet, Mr. Ninos Warda, pictured on right, titled "The Assyrian Genocide / Qatil Amma Athuraya". The poem is written in both Eastern and Western dialects. Mr. Warda lives in England. Gabi Masso, the man behind the great hit "Marli Marli", which made it all the way to the Swedish radio, is back with a new and exciting CD named “Gawne d’Musiqi” or The Colors of Music, in English. The CD contains eight fresh tracks, each one different from the other, ranging in style and influence from Hindi, Classical and R&B to Pop. "When it comes to music I am a perfectionist. That is why there are only eight songs. I go for quality instead of just maKing a lot of songs that sound more or less the same", Gabi explains. Gabi studied composition and musical arrangement in Stockholm in order to have a solid base to build upon, and he emphasizes his seriousness as a musician: "To stand up and sing in a party doesn’t make you a singer, there are differences. I want people to take greater interest in details, such as the lyrics, who the writer is, what has inspired the singer, composition and so on, because as a singer I feel the amount of work I have put in maKing this CD is then appreciated." Gabi has made sure that all lyrics are translated into English. He believes it is important that people understand the depth of the songs, he says. Especially because it may be difficult to understand certain words, phrases or sentences depending on how well acquainted one is with the Assyrian language and its literature. And the translation is of great help if one wants to learn new assyrian words, he points out. "It will enhance the listener's experience of the songs, because when you know what the singer is singing, you take greater interest. I want to show that a CD contains a lot of culture," comments Gabi to Zinda. To listen to samples of Gabi Masso's music click here.